For those who went in 2013 here is a bit of a trip down memory lane. For those who never been to H.O. here is a reason to go. Three days of vintage VW overdose compressed into 40 minutes. This is my little creation.... enjoy! Maybe somebody here is interested in the news, that the registration for the Hessisch Oldendorf meeting 2017 is already open ! Check the homepage www.uraltkaefer.de . 1 user thanked brille52 for this useful post. Go to the homepage www.uraltkaefer.de and click on the ENGLISH VERSION OF THE REGISTRATION. There you`ll find all written in english ! Just over a year to go now - now's a good time to book a hotel room I think! Guys, I'm going to HO2017, with a friend selling VW parts. I'll be in my Zwitter, if you see me come say hi. I'm heading over in a mini convoy with the Brighton contingent. 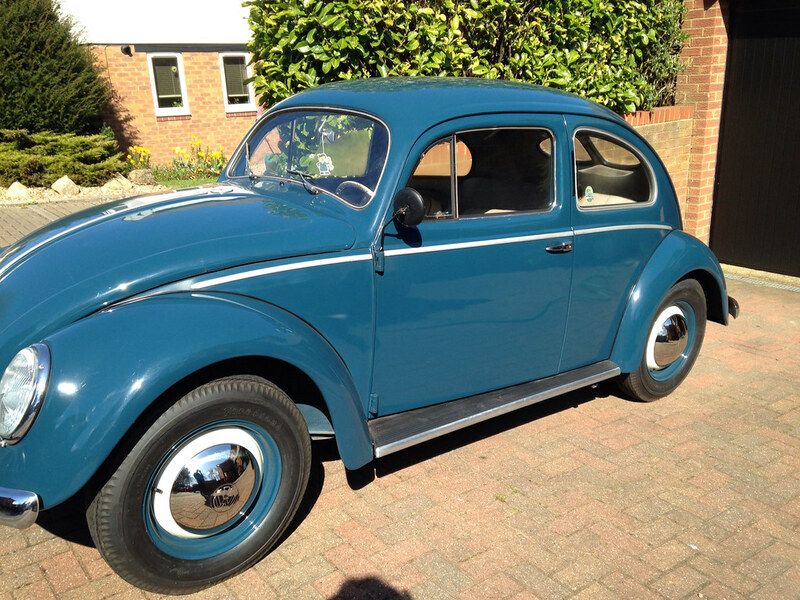 There'll be two Porsche 356s, my '78 Cabrio, a 68 Bus, a '58 Cabrio, Herbie and possibly others too. We're meeting at the Ashford Travel Lodge on Wednesday evening for our traditional pre-Heissich / Camberg Mexican Meal and then heading for the Chunnel in the morning. I think we're on the 8:30 crossing. Anyone else want to meet us for Mexican or tag along on the convoy will be very welcome. July 1957 UK supplied RHD Oval. 1972 World Champion Beetle. 1978 UK supplied RHD 1303LS Cabriolet. 1973 UK supplied RHD 1303s. WoW ! Great pics ! If somebody missed the show, looking at the pictures, he ( she ) has seen it all !